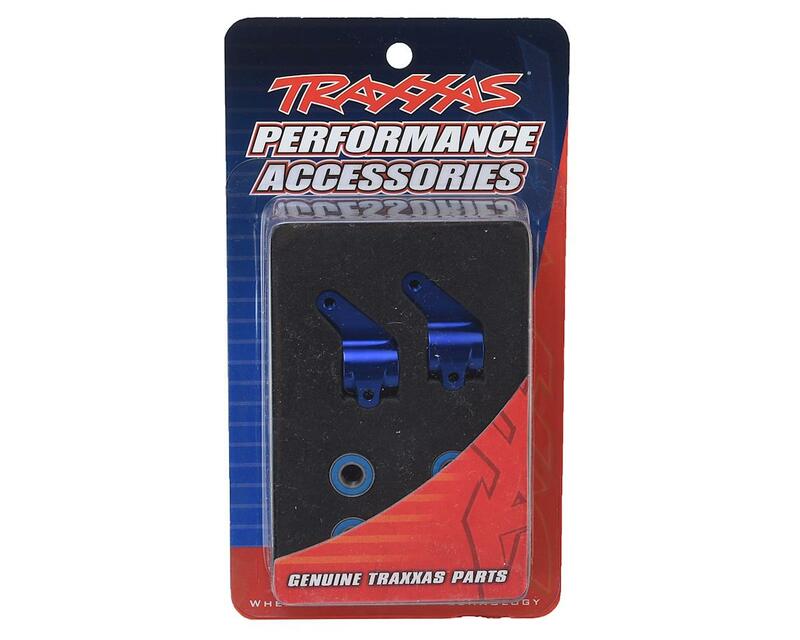 This is a set of two optional blue aluminum steering blocks with ball bearings from Traxxas. These steering blocks mount the the front uprights, and support the front axles. It's a must have, with the VXL power you will brake it at the first hit, i broke the rear once first, because when u brake, the Rustler somethimes spins, and at first hit, goodbye, very good quality! The part itself is very good. I put it in my Rustler. 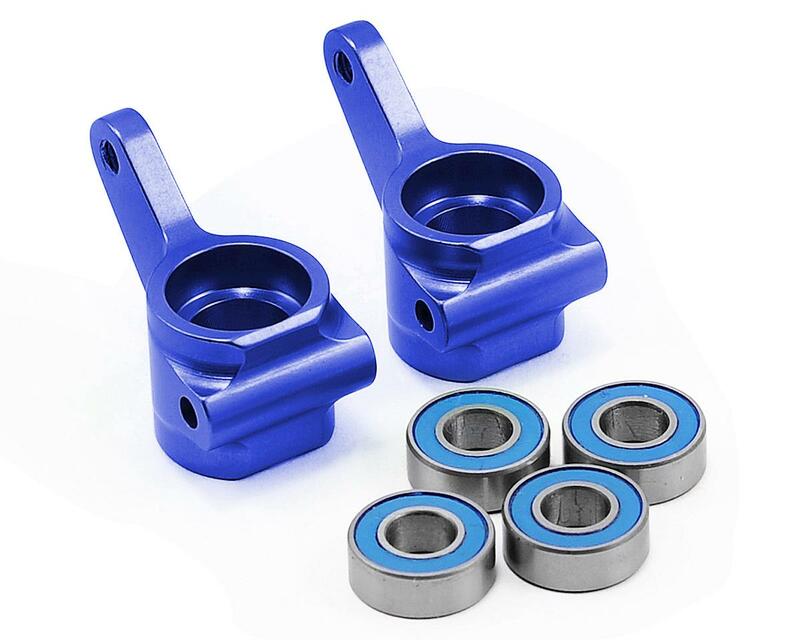 However, it is not compatible with ST Racing Concepts Aluminum Front A-Arm Set [SPTST3631GM] and ST Racing Concepts Aluminum Caster Blocks [SPTST3632GM]. When install together, the steering block will rub against the end part of the STRC A-Arm when try to turn. Traxxas aluminum is harder, so A-arm is scratched. Servo is also working really hard. I will have to put my plastic block back in or grind the A-arm.